I routinely get caught up in the details of things - I love a feather, the twist of a shell, the curve of a child's cheek - I can have difficulty finding the big picture. So realizing that with transfer paints I can paint a feather, or a leaf, and get the most outrageous level of detail onto the fabric is intoxicating. I find that once I have transferred these things I just stare at them, because, well, they're nearly perfect. I mean, isn't this feather enough to stop your breath for a moment? Or these? 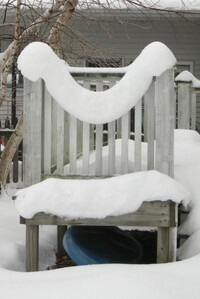 And then it all melted in 40F degree weather. Turns out you can use tissue paper for transfer paints. I wasn't sure, in part because I wasn't sure which side of the paper the paint had dried on. The tissue paper is so light that when I was trying to rest things on the radiator to dry the tissue paper was floating right up the wall. I got some nice texture from the tissue paper being slightly scrunched as well. I think that is an artifact of the satin I was transferring to, rather than a constant function of the tissue paper. 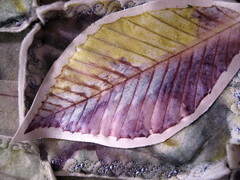 I also experimented with transferring onto other textures of fabric. I have a startling amount of white felt, so I tried several layers on that, with interesting, if fuzzy, results. It takes a lot of color to get down into the structure of the felt, so it can carry a lot of layers of color, so long as they are all light. I also worked for a while on the TIF Challenge. I am having detailed thoughts about other topics, but this is what I worked on making. Today felt like process rather than planning, so I just ploughed ahead with cutting and stitching, to see where it would take me. The thought was alternating rectangles of felt, with leaves on them. I like the stand up seams. I adore the leaves. 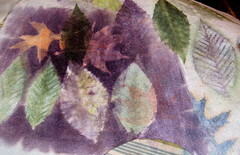 I have more leaves on sheer fabric to go over the more solid blocks. 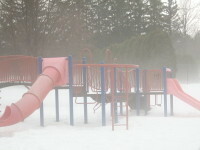 There is another picture of the larger object on Flickr. As for the lack of posting yesterday. Well. I am thinking I might get take Fridays off. I read. I knitted. I had a nice lunch with Al. So today I tried a bunch of things that didn't quite work. I found a handful of pine cones and tips of branches in the parking lot at the Y this morning, an after effect of the wind yesterday, and thought I'd see if paint on them would transfer with the fabric laid over the top and pressed. I'll tell you right now, it doesn't. I got some lumpy places on the fabric with no color for most of the pine cones, for the wet pine cone I got a brown sausage shaped transfer. For the needles I got some faint images, and a very nice scent, but mostly nothing really useful. I tried transferring onto sheer silk. The color went right through and set quite nicely on the ironing board cover. The silk remains pristine. I did make up some parts for the TIF Challenge, but I'm not sure how I'm going to use them. 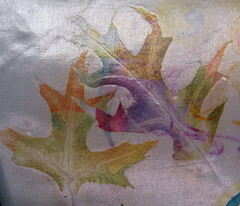 Working with these nearly perfect leaf images on shiny shiny fabric is unexpectedly inhibiting at the moment. 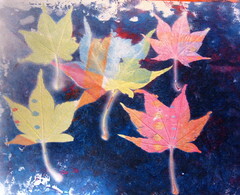 I love the leaves and want to showcase them but then I can't think what to do to, or around them to finish the piece. I need some doodling time. 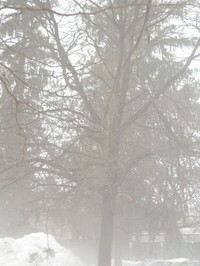 The day started out this morning all misty and mysterious, raining a little, and very foggy. About noon a front cracked through like a whip, and blew the fog and clouds away, leaving a sharp, bright sparkling afternoon. Gusty wind has been whisking around the house all afternoon. I was thinking about transfer paints and iron on things today cleaning stalls, and came up with a couple questions. 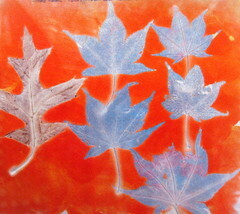 The first was whether I could mix the transfer paints to make the palette for the TIF Challenge. The paints on the paper look different from the transfered colors, so there is a certain uncertainty involved. Then I wondered if t-shirt transfers worked the same way, sublimating ink onto the fabric, or if they used a different mechanism. And then I remembered two pages of transfers I'd made in a class years ago using a color copier. How did they work? So I started with the TIF palette. I mixed up what I thought should be the colors I wanted and tried them out. I think I got pretty close, so I will be able to use the transfer paints and keep the TIF challenge in line with the media of the moment. The t-shirt transfers do not use the same mechanism to get the image onto the cloth. 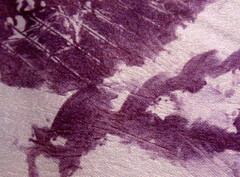 Transfer paints have to dry on the paper, and heat makes them sublimate (go directly from solid to gas) and the color-carrying gas is absorbed into the fabric. The t-shirt prints are a thin layer of plastic that peels off backing paper when ironed onto the fabric - the color is carried on a separate layer and can be peeled off with a fingernail. Which could be an interesting exploration at some point - distressing the iron-ons - but isn't what I'm after. The transfers from the color copier work the same way as the t-shirt transfers, but the layer of plastic is thinner and the heat required to set it is higher. Now I wonder if I had access to a dye-sublimation printer, if it would work directly on polyester fabric, or if images from it would iron onto the fabric better. I wonder if you can paint transfer paint directly onto polyester and iron it in, so to speak. 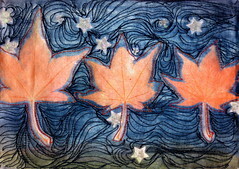 In the middle of all the experiments, I got the leaves in orange into/onto a starry night sky, and they looked like a series of rising moons, only, you know, leaf shaped. LeafRise. This is the first of the weekly objects. It is 5x7" (12.7x17.8 cm) transfer printed using leaves and star shaped sequins as resists, embroidered and foiled (hard to see but present). It was substantially done yesterday but the day kind of escaped from me, so I finished it today. but I can't figure out what to do with them - it wants something that demonstrates the sheerness of them somehow. and then I realized the leaves had blue on them and I should try this. I am stunned. There is a very easy progression to making this stuff and using it, but the results are so fluid and unexpected. I will have yards of samples by the end of the transfer paints as the Media of the Moment. 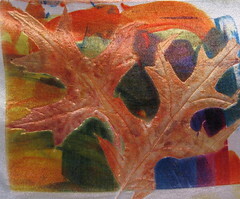 Painted leaves with a painted piece of paper behind them - I am verry pleased with the detail from the leaves. 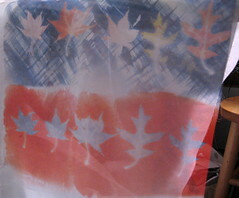 After the above experiment, the backs of the leaves had color on them, so I flipped them over and ironed again. They look very dreamy to me. I experimented with other polyester fabrics, but the shiny stuff carries the most detail. I should go troll through Joann's for other polyester fabrics that are smooth but less shiny. Unexpected bonus: ironing oak leaves makes a nice smell. 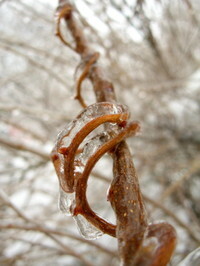 Unexpected negative: it is the middle of freaking winter in New England - the only leaves I can find are dead oak leaves. 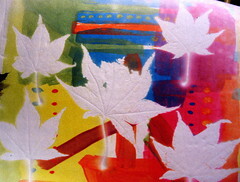 I wonder if people would mail me leaves... you know, from warmer climes?